What does bad listening look like? Students have a great time acting out bad listening as part of Lesson 1.11. They check their cell phones, look away while “pretending to listen,” interrupt or talk over. They can all laugh about it in reflection, but when you ask, “what does bad listening feel like?” – they take on a more serious tone. They can all relate to the disappointment and frustration of not feeling heard. If it’s from friends or teachers or parents, poor listening hurts and good listening matters. How do you stop a fire before it starts? Like fire prevention, methods for mitigating risk behaviors and improving student outcomes are well established. Evidence-based social and emotional learning (SEL) programs are having a profound impact on student achievement, teacher/student relationships, and school climate nationwide. Within an SEL rich environment, students thrive. 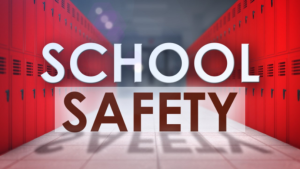 They gain a greater connection to school and develop skills crucial for creating a safer, supportive, and productive learning environment. February Blog – Worried About Teens Stress Levels? Give teens the tools they need to work through it! Click HERE for the full post. 7 do’s and don’ts to help your family build empathy skills. School-Connect: Optimizing the High School Experience shared a link.